Perler beads Wonder Woman cosplay by Cosplamy – AiPT! You’ve seen Wonder Woman cosplay before; but never one made entirely from Perler beads. 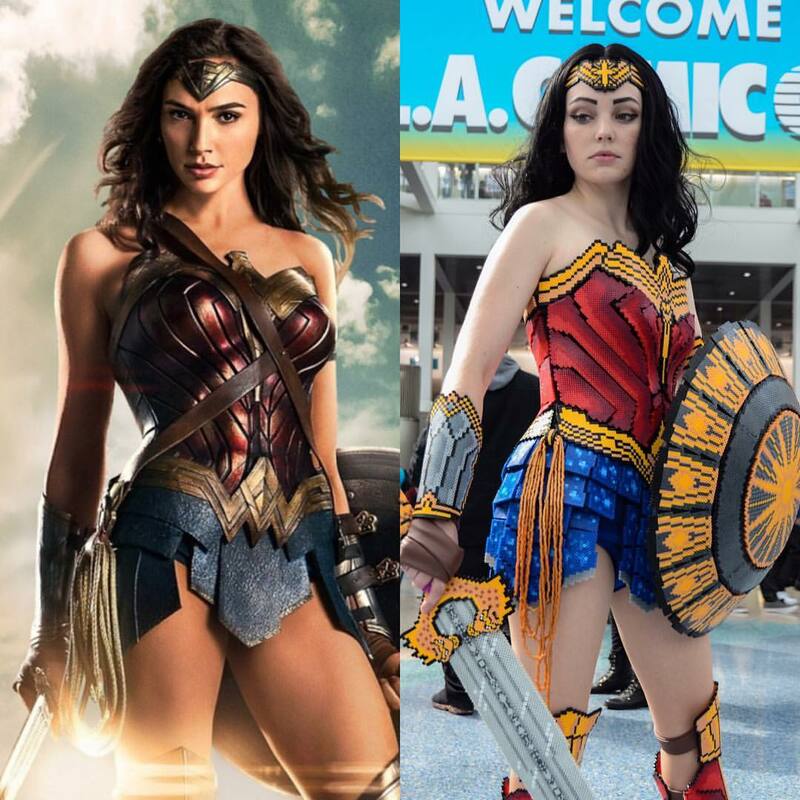 We’ve seen some amazing Wonder Woman cosplays in our time: Alyson Tabbitha looking like she stepped straight off the Wonder Woman movie set; the always amazing CutiePieSensei’s rendition; Lis Wonder, who we’re still not convinced isn’t some Gal Gadot clone made in a lab — but we’ve never seen anything quite like this Wonder Woman cosplay by Amy Cosplay, who made the entirety of the Amazonian superheroine’s armor from Perler beads. Talk about patience, dedication and attention to detail.